As Defected celebrates 20 years in the house, the UK house music institution returns to North America for a four-date tour, stopping in Chicago, WMC Miami, San Francisco and Los Angeles. Sam Divine, Riva Starr, Monki, Low Steppa, Kenny Dope, Josh Butler, Jess Bays, Jacky and Ferreck Dawn will be bringing Defected’s signature house sound to some of the hottest spots on both coasts. These North American shows follow a tour in November last year, when Defected made its US comeback after five years spent building on its reputation as a worldwide authority in house music. The packed out November shows set the precedent and affirmed Defected’s American following is primed and ready for more of what the label has to offer. Kicking off at the legendary Smartbar in Chicago, Defected are pleased to be part of the club’s DAPHNE initiative. The month long showcase continues the legacy of electronic music pioneer Daphne Oram by celebrating electronic musicians that identify outside of dominant gender vectors. The goal of DAPHNE is to unite members of the electronic music community who work outside of the privileges of the cis-male-dominated industry, so in honour of that the line-up for Defected’s party on Friday 22ndMarch is all-female; Sam Divine, Monki and Jess Bays. The tour then moves on to Miami, where the full force of Defected’s roster descends on the world-renowned Winter Music Conference for the first time since 2013. Defected are excited to bring special guest Kenny Dope along with Sam Divine, Riva Starr, Monki, Low Steppa, Josh Butler, Jess Bays, Jacky and Ferreck Dawn to Florida for an all-day pool party at Miami hotspot The Kimpton EPIC Hotel on Thursday 28thMarch. The WMC marks one of the most important events in the dance music calendar, each year bringing the biggest names, brands and parties to the Florida epicentre. Defected sets a tone for the global scene and combined with the innovative talent of the Defected DJs, the label are delighted to return to the conference bringing the best of UK house to The Sunshine State. Next, on Friday 29thMarch Low Steppa, Sam Divine and Ferreck Dawn will head over to San Francisco’s stunning Halcyon, an unmissable after-dark location where some memorable moments were created during last year’s tour. The final date at Los Angeles’ Sound club on Saturday 30thMarch will feature Sam Divine, Jacky and Ferreck Dawn, Sam returning triumphant after the sold out gig there in November. 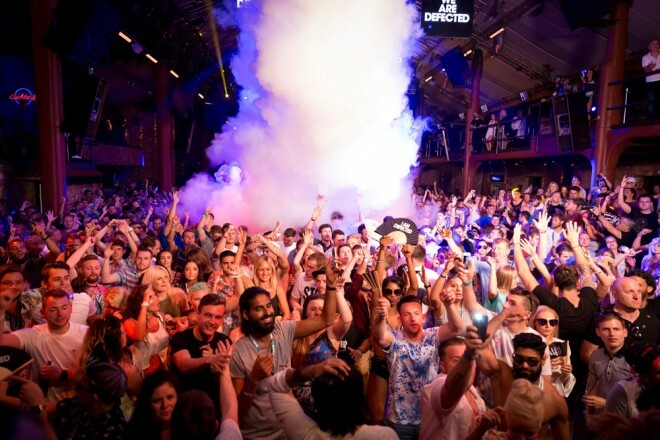 Defected events represent everything there is to love about house music, bringing people together from all over the world with the finest in current house anthems. Building on the success of the stateside tour at the end of 2018 and bringing a bigger contingent of Defected residents from legendary status heroes to those representing the new breed of the label, this March promises to satisfy North America’s appetite for world-class house music, born in the UK. 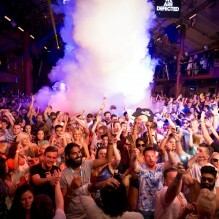 For all tickets and info see http://defected.com.